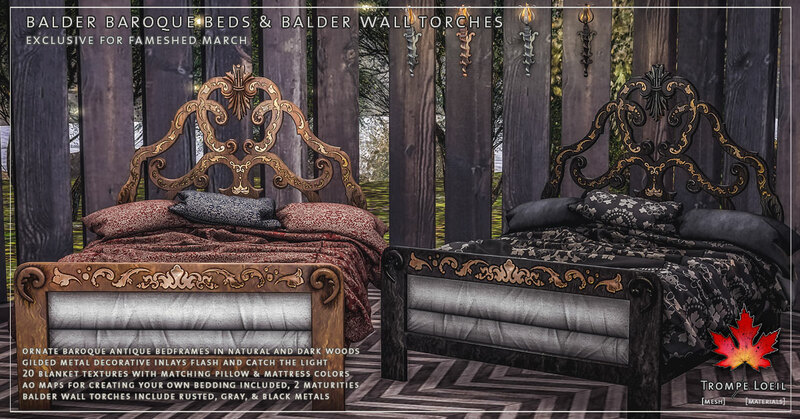 Regal luxury awaits – the new Balder Baroque Beds and matching Balder Wall Torches at the March round of FaMESHed! 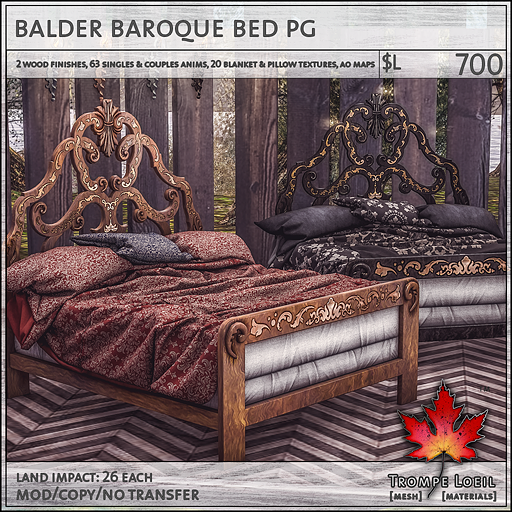 Trompe Loeil’s new Balder Baroque Beds are the perfect centerpiece for your medieval, antique, or roleplay themed bedroom. We include natural and dark wood finishes, both inlaid with gorgeous gilded ornamentation that flashes and glitters in the light. We even include AO maps so you can create your own custom bedding textures! 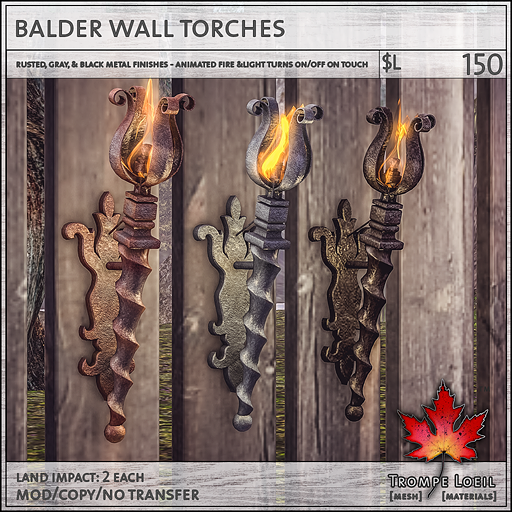 Plus, our Balder Wall Torches are the perfect accent – we include rusted, gray, and black metals, with a beautiful animated fire effect and hardware lighting that turns on and off with a touch. Grab both at March’s FaMESHed round!